In Finland, Staphylococcus aureus bloodstream infections are caused predominantly (>99%) by methicillin-sensitive strains. In this study, laboratory-based surveillance data on Staphylococcus aureus bloodstream infections occurring in Finland from 1995 to 2001 were analyzed. Preceding hospitalizations for all persons with Staphylococcus aureus bloodstream infections were obtained from the national hospital discharge registry, and data on outcome was obtained from the national population registry. An infection was defined as nosocomial when a positive blood culture was obtained more than 2 days after hospital admission or within 2 days of admission if there was a preceding hospital discharge within 7 days. A total of 5,045 cases were identified. The annual incidence of Staphylococcus aureus bloodstream infection rose by 55%, from 11 per 100,000 population in 1995 to 17 in 2001. The increase was detected in all adult age groups, though it was most distinct in patients >74 years of age. Nosocomial infections accounted for 51% of cases, a proportion that remained unchanged. The 28-day death-to-case ratio ranged from 1% in the age group 1–14 years to 33% in patients >74 years of age. The 28-day death-to-case ratios for nosocomial and community-acquired infections were 22% and 13%, respectively, and did not change over time. 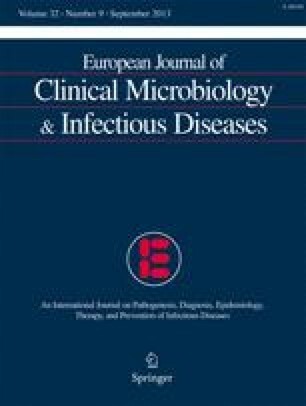 The increase in incidence among elderly persons resulted in an increase in the annual rate of mortality associated with Staphylococcus aureus bloodstream infections, from 2.6 to 4.2 deaths per 100,000 population per year. Staphylococcus aureus bloodstream infections are increasing in Finland, a country with a very low prevalence of methicillin resistance. While the increase may be due in part to increased reporting, it also reflects a growing population at risk, affected by such factors as high age and/or severe comorbidity.